of an unsolved murder hangs over the lives of his hosts, Tony and Jan Gardiner. The police still suspect Jan of her first husband’s murder – and then a second killing takes place under the same bizarre circumstances. What can a guest do in such a case but try to clear the name of his hostess and solve the crime? I’m not sure what actually led me to select this novel from my local library but it came as a pleasant surprise to find that it was set in my home city of Adelaide. 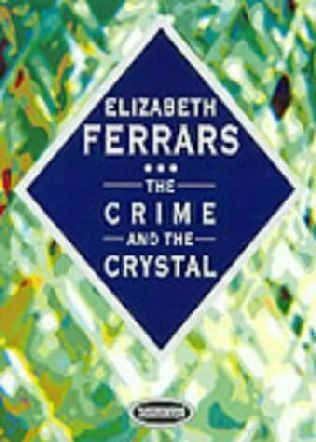 That is my reason for including the review here, because of course Elizabeth Ferrars was a British author. Andrew Basnett comes to Adelaide to spend Christmas with his former student Tony Gardiner. Tony has recently married and he and his wife Jan live in the fictitious seaside suburb of Betty Hills, which I decided was probably either Brighton or Hove. Twelve months earlier Jan’s first husband had been murdered at a local quarry and she and Tony had married within a few months. Jan’s sister Kay has also recently married and she and her husband live nearby, a little closer to the beach. At first I suspected that the author had got most of the details for her setting from travel brochures but then discovered she had actually lived in Adelaide for a short time (see about the author below). I’m not sure why the suburb was named Betty Hills, possibly because it is a combo of the features of more than one of the southern suburbs. Basnett takes a ride on the Glenelg Tram, visits Botanic Park, and refers to The City of Churches. They were all published in the last 12 years of Ferrars’ life.